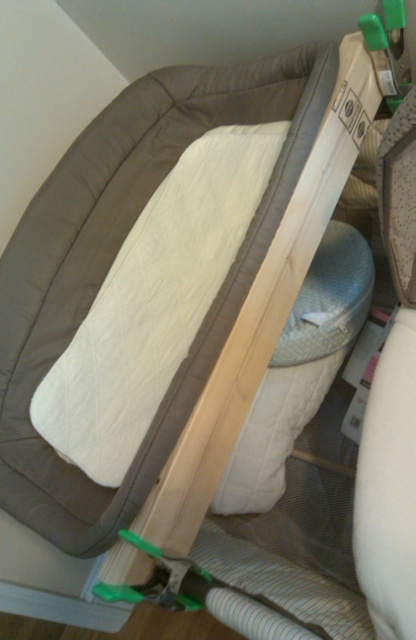 Graco Pack and Play with Newborn Napper LEANS! Are you having trouble with your Graco Pack and Play changing table leaning? It’s only attached to the Pack and Play at two points, so when we put our baby in it, it leaned and he ended up rolling into the side. Not fun having your head smooshed against the edge every time you’re having your diaper changed. Here’s what we did to fix it. Just a 2×4 scrap and some clamps. Copy at your own risk!